Recent Dallas Cup Almuni Making Impressions in Pro Soccer | Dallas Cup, Inc.
Four promising, young players from our elite alumni group made their professional and international debuts in 2016. Dr Pepper Dallas Cup continues to build upon its rich history, as some of the tournament’s most recent participants have already made their professional and international debuts throughout world soccer in 2016. Lynden Gooch played in the 2014 Dr Pepper Dallas Cup as member of the U-20 US Men’s National Team. Gooch has worked his way through the academy levels for Premier League side, Sunderland A.F.C , and on August 13, 2016, Gooch made his Premier League debut starting at midfield against Manchester City. The young American has kept his starting role for Sunderland in the club’s first four matches of the 2016 campaign and we will be sure to keep an eye on the team as they try to shake things up in the English Premier League. English born youngster, Jack Harrison, played in the 2013 Dr Pepper Dallas Cup with Manhattan PSG. Harrison was the 1st pick overall in the 2016 MLS Draft, and after battling through a hip injury in the spring, made his pro soccer debut on May 21, 2016 with New York City FC. Harrison was voted as New York City FC’s Player of the Month for June, and he is a strong contender for 2016 MLS Rookie of the Year. Hailing from Canada, Alphonso Davies came to Dallas Cup in 2015 with the Edmonton Strikers. On July 16, 2016, Davies made his pro debut in MLS with the Vancouver Whitecaps at age 15. Davies became the second youngest player to play in MLS, behind only 2003 Dallas Cup alumnus Freddy Adu. At such a young age, this promising young player is sure to make an impression in pro soccer for years to come. Paul Arriola was another member of the U-20 US Men’s National Team that played in the 2014 Dr Pepper Dallas Cup. On May 22, 2016 the American winger made his senior US Men’s National Team debut notching a goal and assist in a 3-1 win over Puerto Rico. 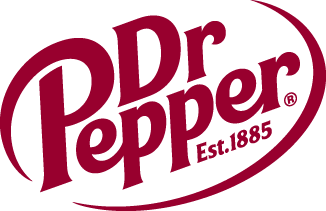 Dr Pepper Dallas Cup XXXVIII kicks off on April 9, 2017. The future stars of international soccer will once again be on full display throughout tournament week.